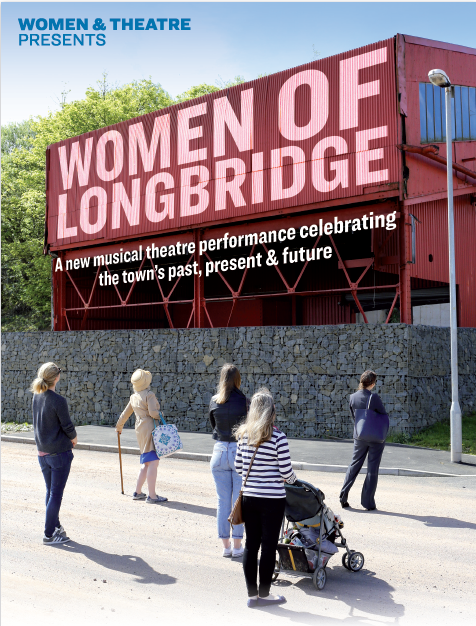 Katie Webster has been volunteering with us on our community musical theatre show Women of Longbridge, here she talks about W&T’s research process and what she’s learnt so far. Hello! I’m Katie and I’m the volunteer for Women of Longbridge. The first time I met Rachel (project manager) and Jo (co-writer and co-director), they told me Women & Theatre love to meet people and have a chat. From what I’ve been involved with so far, they could not have been more right! The research process for Women of Longbridge has involved countless conversations (and what feels like a hundred cups of tea) as we have visited several locations in and around Longbridge to talk to some incredible women. On day one of our research week, I was excited to meet the team and hear more about the project. Almost immediately, I knew this was going be something completely unique to anything I’d done before. It was so refreshing to enter a creative process with such a relatively blank canvas, as the material for the performance would come from these conversations. There was no agenda or plan, other than to listen to the women of Longbridge and hear their stories. So, after a brief meeting, we packed up lots of paper, pens, voice recorders and a washing line (there was logic behind this), and headed to Frankley Library for our first session. Usually, the idea of going up to a stranger and saying ‘Hello, tell me all about your life please’ would terrify me, but as soon as we began chatting to the lovely women of Frankley, all those nerves went away. The power of conversation really did shine through, and around three hours later we already had some great stories! One particularly sticks out in my memory: Val told me the story of her, at the age of fourteen, buying a train ticket to Liverpool and stealing a used milk bottle from outside Paul McCartney’s house. She managed to make it all the way home with this precious bottle, and treasured it in her bedroom for weeks. Unfortunately, her mum found the bottle, washed it and put it out for the milkman to collect! Val never told her mother this story, as she was still nervous to tell her that she had skipped school, despite this being fifty years later! As the week of research continued, we delved into the heart of Longbridge to speak to women in the Extra Care retirement village, attend a tea dance at the Austin Social Club and pay a visit to Meadow Rose Care Home. It was such a heart-warming process to see the women we spoke to gradually opening up about their lives. So often, women apologised for ‘being boring’ or ‘going off topic’ when they had just shared a significant memory from their past or an exciting hope for the future. We weren’t after showbiz drama or celebrity stories! Instead, we were meeting real women with just as important and interesting stories to tell, and it was a privilege to be able to hear just a handful of the stories the women of Longbridge have to offer. Thank you to all the women and organisations for sharing your stories, time, tea and biscuits with us! Unsurprisingly, many of these conversations were centred around the history and eventual closure of the MG Rover plant. To be completely honest, I knew nothing about the factory before I began working on this project, but am so glad I do now. The impact the closure had on so many lives was overwhelming to learn about, and the regenerated town is still extremely mindful of its history. The location of the performance itself is taking place where the factory once stood. Below the performance space are the factory’s tunnels, used to ensure manufacturing could continue during the war. References to the town’s history are scattered all over the shiny new shopping development (which includes the biggest M&S I have ever seen…). It is wonderful to see how Longbridge has continued to grow and expand despite the turbulent period of the factory’s closure, but continues to remember its legacy. These weeks of research for Women of Longbridge have been unique and inspiring. The way the team at Women & Theatre are able to take real-life stories and transform them in to a performance is, quite frankly, awesome, and it has been fascinating to be a part of this process. I’m never quite sure what’s going to happen next when I go to the Women & Theatre office, and I absolutely love it! It’s been amazing to work with such enthusiastic, creative and generally lovely people and I can’t wait for rehearsals to start. I hope to see you at Women of Longbridge on 23rd June! Performance times are 11am, 3pm and 6pm outside The Cambridge Pub in Longbridge. And it is FREE, so no excuses!